The arrival of Filipinos in the Milwaukee metropolitan area took place after World War II. The Philippines were a United States colonial possession from the end of the Spanish American War in 1898 until the South Pacific nation gained its independence in 1946. Although the U.S. Government denied naturalization rights to Filipino migrants during these years, it classified them as “nationals.” This allowed Filipinos to work in America and study at U.S. colleges and universities. Young men comprised the vast majority of Filipinos who came to America before World War II. Many contracted as laborers in Hawaii before moving to the mainland, where they primarily settled on the West Coast. Filipino women began migrating to America in larger numbers during the 1950s, as brides, students, and, increasingly, nurses. In the Milwaukee area, a small, educated Filipino-American community flowered in the 1970s and 1980s, securing employment as doctors, engineers, architects, small business owners, and other white-collar professionals. This emergent Filipino middle class built upon a Filipino immigrant tradition that dates back to the early postwar period, finding work in Milwaukee’s hotel industry as managers and service workers as well. Nursing shortages prompted employers to recruit immigrant nurses. For example, managers at Northwest General Hospital did so in 1993. The community is small, with about 3,000 people identifying themselves as of Filipino ancestry in the metro area in the census in the early 21st century. But it does not lack for institutions of civic engagement. 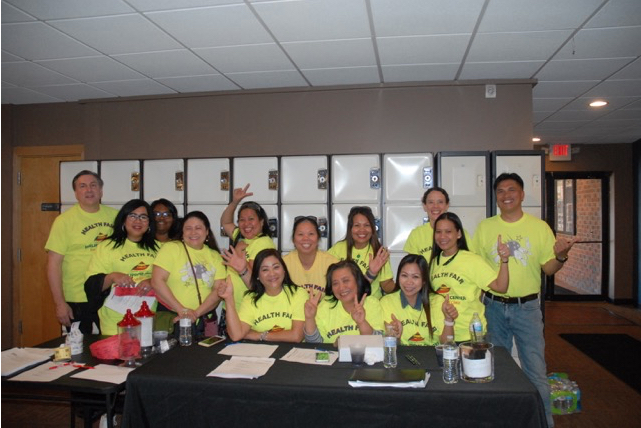 The Filipino American Association of Wisconsin is based in Milwaukee and, as of 2000, recognized nearly 700 members. Since 1975, it has organized numerous charitable drives and conducted various forms of local outreach. Among other endeavors, this voluntary association has raised thousands of dollars for typhoon victims, organized Filipino dance troupes in an effort to raise cultural awareness, and awarded educational scholarships to Milwaukee’s Filipino youth. 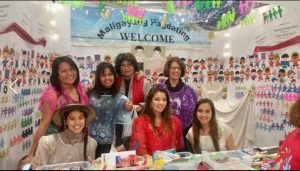 Another area Filipino collective is headquartered at 27th Street and Michigan Avenue, the Philippine Cultural and Civic Center Foundation. The foundation led efforts to build a Philippine Community Center in GREENFIELD’s Zablocki Park Pavilion in 2011. That center hosts public meetings, offers instruction on the Philippines’ native Tagalog language, provides recreational activities, and houses a free medical clinic administered by Filipino-American physicians. International politics also served to unify Filipino Americans. For instance, the Milwaukee-led Aquino Movement of Wisconsin worked to raise funds for Corazon Aquino’s successful political challenge of Philippine dictator Ferdinand Marcos in 1986. ^ Roland L. Guyotte and Barbara M. Posadas, “Filipinos and Filipino Americans, 1870-1940,” in Immigrants in American History: Arrival, Adaptation, and Integration, Vol. 1, ed. Elliott Robert Barkan, (Westport, CT: ABC-CLIO, 2013), 347. ^ Guyotte and Posadas, “Filipinos and Filipino Americans, 1870-1940,” 347-348. ^ Barbara M. Posadas and Roland L. Guyotte, “Filipinos and Filipino Americans, 1940-Present,” in Immigrants in American History: Arrival, Adaptation, and Integration, Vol. 2, ed. Elliott Robert Barkan, (Westport, CT: ABC-CLIO, 2013), 918. ^ Vikki Ortiz, “Established at Last,” The Milwaukee Journal Sentinel, September 9, 2000, 15B. ^ Jerry Resler, “Ready and on Call,” The Milwaukee Sentinel, April 6, 1993, C1. ^ Tabulated from 2014 ACS Sample, Steven Ruggles, Katie Genadek, Ronald Goeken, Josiah Grover, and Matthew Sobek. Integrated Public Use Microdata Series: Version 6.0 [Machine-readable database]. Minneapolis: University of Minnesota, 2015. Other estimates are higher, from 7,000-10,000. See Tom Daykin, “Wisconsin Filipino Community Raising Funds to Help,” The Milwaukee Journal Sentinel, November 9, 2013. ^ Vikki Ortiz, “Filipino Doctors Offer Care to Needy,” The Milwaukee Journal Sentinel, March 14, 2001, 6B. ^ “About-us,” Filipino American Association of Wisconsin website, accessed November 18, 2013. ^ Filipino Festival Set, The Milwaukee Sentinel, April 30, 1981, page 12, part 1; “About-us,” Filipino American Association of Wisconsin website, accessed November 18, 2013. ^ David Cotey, “Philippine Community Center Will be First of Its Kind in Wisconsin,” Greenfield Patch, September 21, 2011, accessed November 18, 2013. ^ Gerry Ramos, “Philippine Center Update,” October, 2011; Vikki Ortiz, “Filipino Doctors Offer Care to Needy,” The Milwaukee Journal Sentinel, March 14, 2001, 6B, accessed November 18, 2013. ^ Sandra Whitehead, “Day of Thanks, Area Filipinos Celebrate the Ouster of Marcos,” The Milwaukee Journal, Waukesha County Edition, March 3, 1986, part 2, page 1. Guyotte, Roland L., and Barbara M. Posadas. “Filipinos and Filipino Americans, 1870-1940.” In Immigrants in American History: Arrival, Adaptation, and Integration, Vol. 1, edited by Elliott Robert Barkan, 347-356. Westport, CT: ABC-CLIO, 2013. Posadas, Barbara M., and Roland L. Guyotte. “Filipinos and Filipino Americans, 1940-Present.” In Immigrants in American History: Arrival, Adaptation, and Integration, Vol. 2, edited by Elliott Robert Barkan, 917-928. Westport, CT: ABC-CLIO, 2013. Daniels, Roger. Guarding the Golden Door: American Immigration Policy and Immigrants since 1882. New York, NY: Hill and Wang, 2004.